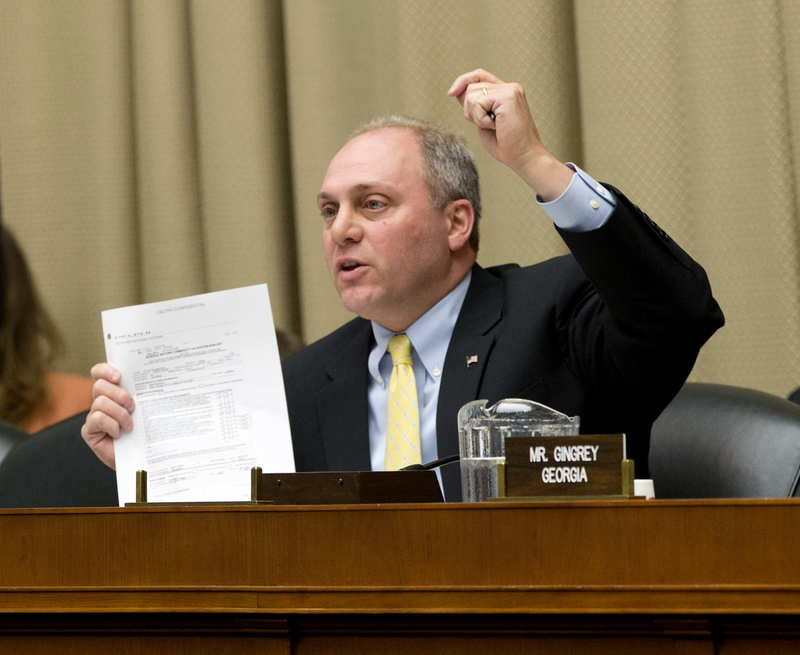 Last month, it was revealed that Representative Steve Scalise (R-Louisiana)—the House Majority Whip—had been a speaker at a white supremacist conference in 2002. The conference was put on by the European-American Unity and Rights Organization (EURO), which was founded by notorious KKK leader and political activist David Duke. Currently, there is no available record as to what Scalise said during his speech. Despite the lack of an official record of what was said during this specific speaking engagement, David Duke has confirmed his relationship with Scalise by threatening to out other politicians as his friends if they don’t stand behind Scalise after being outed as such. To defend his choice to speak at a white supremacist conference, Scalise has claimed ignorance as to the racist nature of EURO. He has claimed that his speech was purely on economic issues and that race was not mentioned. Given his quotes, this claim is laughable on its face and the only logical conclusion is that he did this because he thought that it would provide short-term political gains and would likely go unnoticed in the long-term. Personally, I am not surprised by this scandal (nobody who follows American politics can be shocked when a southern conservative says or does something racist or insane) nor do I think that it should, in a vacuum, be as large a story as it has been. That said, we aren’t living in a vacuum, and the Scalise scandal is actually very relevant to greater issues in American politics. Put simply, the south is populated by a significant population of white Americans who are racist, conservative, and ignorant. This isn’t to say that all white southerners belong to this group or that the north has solved racism, but the fact remains that the south is the area in this country where these racists are concentrated to the point where they virtually control society. It is almost impossible for a southern Republican to get elected to higher office unless they court the racist ultraconservative vote. However, once elected, this support becomes a liability on the national level, thus a skilled Republican needs to find the way to thread the needle between capturing the support of racists and providing himself with plausible deniability if anybody accuses him of pandering to racists. Representative Scalise is facing a scandal today because he was a little too overt in his courting of this racist demographic—rather than use racial dogwhistles like “welfare queens,” “urban youth,” and “affirmative action hiring” and passing legislation that has racist applications (ex. school privatization, differential drug sentencing that increases the punishments for drugs predominantly used by minorities, and draconian anti-immigration laws), Scalise was actually seen with his supporters. In short, Scalise’s political sin wasn’t his support for a racist narrative or racist policies, but the fact that he once supported those racist narratives and policies on a stage in front of a bunch of people we can easily recognize as racist. He accidentally stripped away his own deniability. Ironically, Scalise’s defense in the scandal is his admission that he shares his economic policy with the racist demographic. Unspoken is the fact that his economic ideology is the same as the rest of the right wing, thus the conclusion is that the national GOP is apparently in lockstep with these racists. This isn’t surprising, as racist propaganda has long decried welfare as redistribution from white people to minorities (an anti-tax ideology) and the federal government as oppressive for forcing private businesses to employ/serve with minorities (an anti-regulatory ideology). Arguably, the most surprising aspect of this scandal to me is the level of support that the GOP leadership has shown to Scalise. They have rallied behind him and have refused to even consider having him step down from his position as the third most powerful Republican official in the country (not counting the four lunatics on the Supreme Court). While the GOP has a long history of forgiving right wing politicians who demonstrate immense hypocrisy or corruption (ex. David Vitter, Newt Gingrich, etc. ), there is usually a cooling off period where the politician has to apologize, and leave the political scene for a couple months. In this case, the support was immediate and overt. Personally, I think that the unusual GOP support for Scalise is a function of them recognizing that they all are guilty of what Scalise has done—the only difference is that he was slightly too overt. 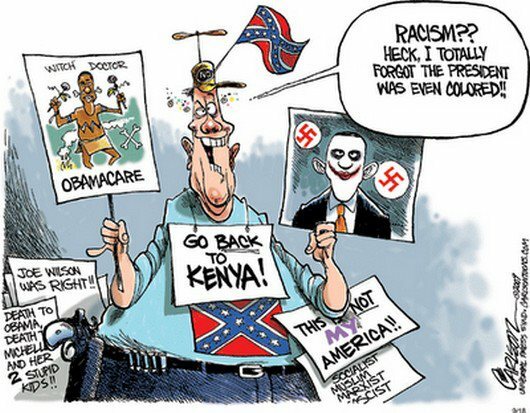 Even if a southern Republican isn’t personally a racist, they must court the racists; thus, the precedent that being caught courting racists is reason to strip an elected politician of large portions of their political power (ex. chairmanships) would be a liability for a majority of the Republican Party. A GOP Congressman spoke to a racist group. And the rest of the GOP supports him. And this is a newsworthy story? Why? Is anyone surprised? In Iowa, 93.5% of the population is white, 3.3 percent is black., 2013 census data. 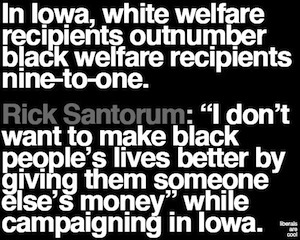 So 9 to 1 welfare recipients means that 10 percent of the welfare recipients in Iowa are black but they make up only 3.3% of the total population. You just argued against your own point.